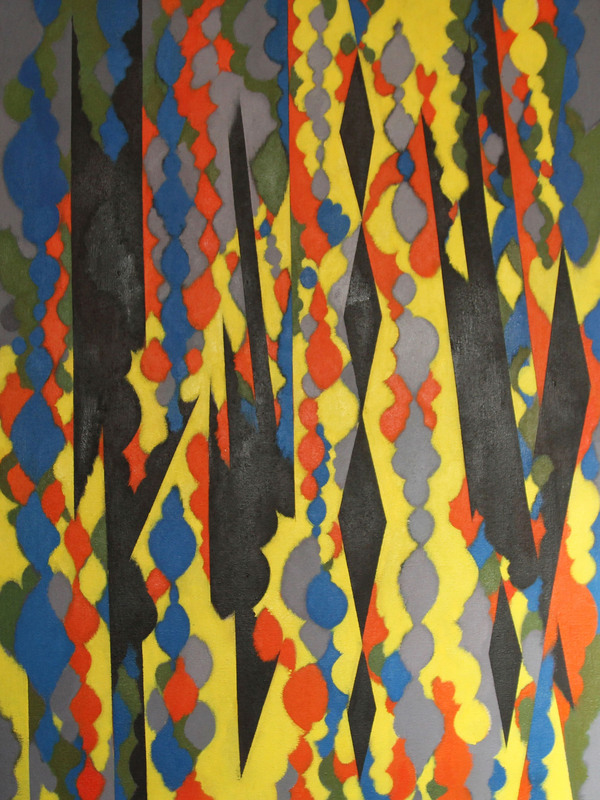 An original oil on canvas by the noted Scottish artist William Gear which was an exhibited work and dates to 1968. Scottish Arts Council 1969 Cat No 62. 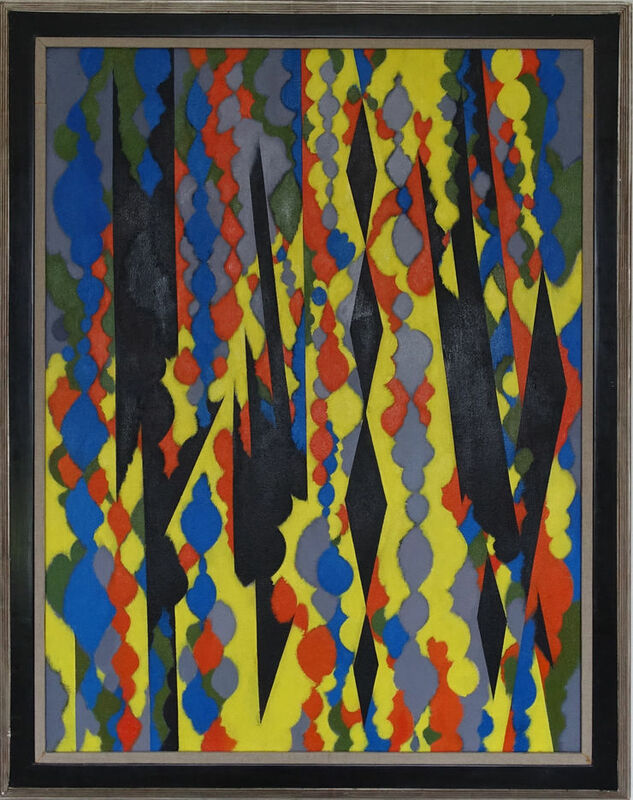 Original exhibition frame 56 inches by 48 inches. Good condition.